We heard what you want… Now, tell us how to get there! 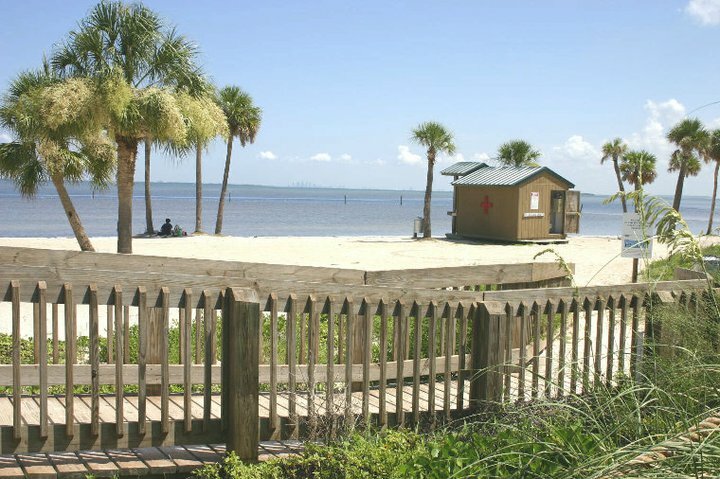 We have a great place to live, work, and play. There are lots of reasons why about half a million more people will live and work here by 2040.  We’re a county filled great educational opportunities and neighborhood choices, from rural to urban living, and everything in between… There’s something for everyone. 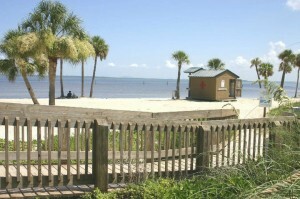 Our fantastic weather lets us enjoy our natural resources and the world’s most beautiful beaches year-round. And our variety of restaurants, shopping, arts, entertainment, and parks are wrapped around a rich cultural history. 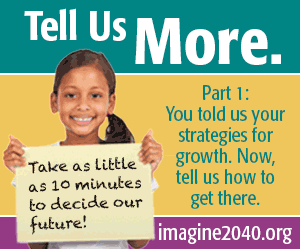 In Imagine 2040 : Part 1, thousands weighed in on long-range strategies for growth, development, and transportation. View the results, background information, video, and more. 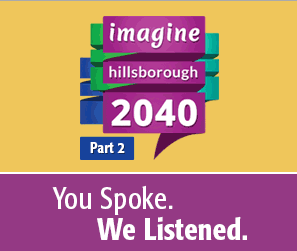 Tell us more about land use growth strategies for Hillsborough County and your neighborhood.  And, with limited funding available, consider which transportation investments will best support a prosperous future. Tell us how to get there! 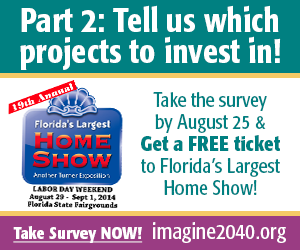 To thank you for your valuable time, complete the Imagine 2040 Part 2 interactive survey by August 25th to get a *FREE ticket to Florida’s Largest Home Show on Labor Day Weekend at the Florida State Fairgrounds, where you will get innovative ideas and expert advice at 900+ exhibits, all under one roof! *Offer is limited to one completed survey per unique email address.